Kacey Boone, girl behind Queen City Craft, Subsixstudios and founding member of Burlington Craft Mafia has enlisted me to help her with this year's QCCB. QCCB was the first craft show I ever sold at, and it feels a little like coming home to be part of the organization this year. I have the extreme pleasure of working with Kacey at Burton Snowboards, where she is a web analyst. She has an amazing spirit for crafting, even as she balances the demands of home life with two kids and a husband and her demanding 9-5 job. She is a strong believer in DIY and indie crafts. To her it is all about pushing the limits, finding your own line, reusing, recrafting, and creating. It is about offering an alternative. 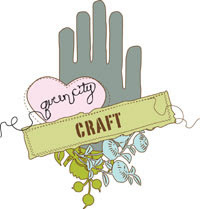 What is indie craft? To quote Wikipedia " The indie design movement is made up of independent designers, artists and craftspeople who design and make a wide array of products without being part of large, industrialized businesses." 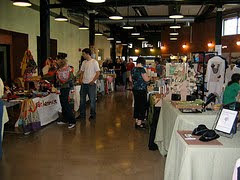 Large shows like Renegade Craft Fairs, Bazaar Bizaare have helped spread the word about indie craft. Products seen at such events tend to be a bit hipper, punker and edgier than your typical craft show. "I believe fine craft has always had a home here in VT but indie craft is a different culture that also deserves to be supported and promoted. 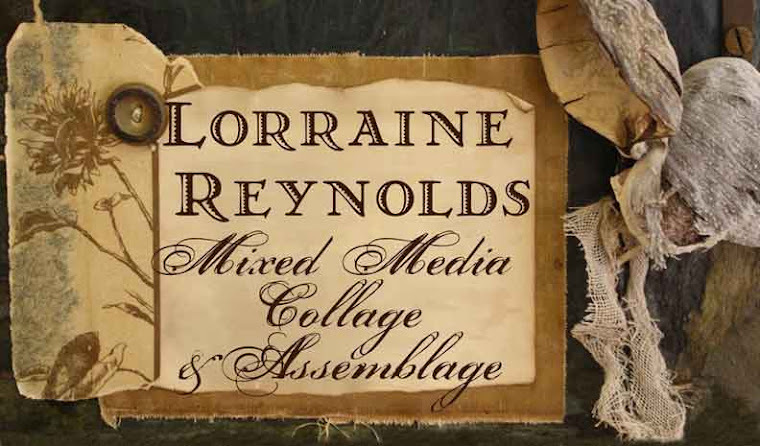 I hope to create a space where all indie crafters in Vermont feel welcome. I want to give us a voice, support, teach, and spread the word." To that end Kacey has made it her goal to bring Indie Craft to Burlington in a bi-annual basis. Interested in showing your work at 1 Main Street this year? Get an application and learn more about the show at the QCC website, http://www.queencitycraft.com/. Don't delay the deadline is 3/26!